Sometimes dental care can seem like it is out of reach for some people. We believe that everyone deserves to have a healthy mouth. That is why we developed the Free Adult Dentistry Day years ago! If you haven’t participated in the past, we urge all the members of the community to show up and take advantage of free dental care for the day! This event is always a first come first serve basis. We see the first 100 patients during predetermined hours. Upon arriving, please ask a volunteer for a number and assistance on filling out your paperwork. We will see you in order by number which will depend on what procedure you are looking to get done. 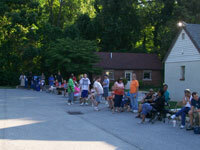 We ended up seeing over 71 patients and did over $20,000.00 in free dental procedures. 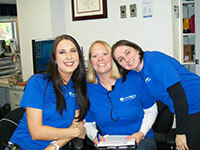 We ended up seeing over 98 patients and did over $13,320.00 in free dentistry between the hours of 9:00am – 3:00pm. 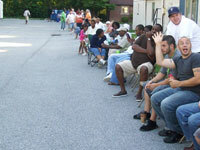 This years 3rd Annual Free Adult Dental Day took place on July 16th, 2011. We had a tremendous turnout and ended up seeing 161 patients with a combined total of over $21,961.00 in free dentistry between the hours of 9am – 3pm. 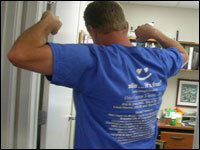 We We offered services of either a cleaning, extraction or filling. We are very thankful for all of the wonderful donations that help us perform our services free of charge to the community. People seeking free dental work came from all different directions to participate in the 1st annual Free Dental Free held at West Chester Dental Arts. Early Saturday morning, patients were greeted by local dentists Eric N. Shelly, DMD, Eric A. Fort, DMD, Louis M. Manna, DDS, MD, and Steven Atlas, DMD along with the staff at West Chester Dental Arts and volunteers from the area. The event was a huge success. The doctors and hygienists managed to see and treat over 60 patients with a combined total of over $17,200 in free dentistry. Not only did patients have their main concerns taken care of free of charge, but they were also welcomed to come back to the practice and become regular patients. Free Adult Denistry Day – West Chester Dental Arts doctors and the staff at West Chester Dental Arts would like to thank everyone who donated products and supplies to help the cause and also to the people who volunteered their time and energy into making this event a major success. Also, a special thank you goes out to the 4 doctors, the 12 dental staff members, the 20 volunteers, and a very special thanks to the West Goshen Police Department for all their hard work.